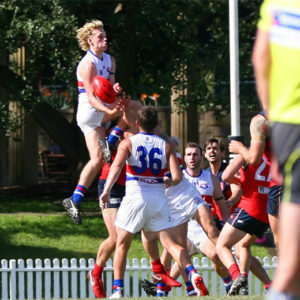 AFL Sydney Men’s Premier Division expert, Michael Shillito takes a look back at the season that was for the five teams not taking part in the 2018 AFL Sydney Premier Division Finals Series. 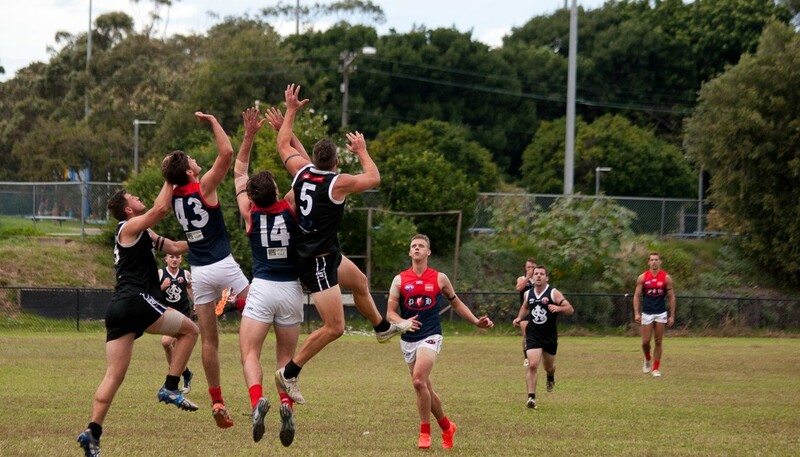 The AFL Sydney Men’s Premier Division home and away season has come to an end. Eighteen rounds of action, plenty of highlights and low lights. For North Shore, UNSW Eastern Suburbs, Sydney University, Manly and East Coast, it’s finals time, and as for the other five clubs, it’s time for reflection and planning for 2019. For Pennant Hills, their Premiership defence was not to be, and after 14 years in a row in the finals, it’s a rare September off. But it was agonisingly close. If Pennant Hills had scored one more goal this season, or the Eagles one goal less, the Demons would have made the finals instead. Last year they were premiers, this year they missed the finals. A weird statistical quirk is that they missed the finals this year, even though they had a better record. Including the finals last year, they won 11, lost seven and drew two, ending with a match ratio of 60%. This year they missed the finals with 11 wins and seven losses, and a match ratio of 61.1%. There were highlights for the Demons. They claimed the scalp of UNSW Eastern Suburbs, Sydney University, Manly and East Coast once during the season and took it up to North Shore at Blacktown. Plenty of big names stood and delivered for the Demons. 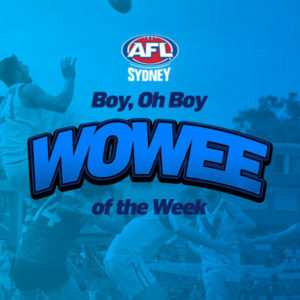 Nick Hey was their leading goalkicker with 32 goals, ahead of Matt ‘King’ Carey on 30 of his own. Tom Angel was in career-best form, appearing in the Demons’ best six players 17 times, while Ranga Ediriwickrama featured 15 times. Expect them to poll well on Phelan Medal night. Despite the Premier Division side missing the finals, we’ll see plenty of red and blue over the next few weeks, with the Demons represented in Reserves, Division Two, Division Three, Women’s Division One and Women’s Division Two. St George was another team who missed the finals after having been a regular fixture in the playoffs in recent years. It was a challenging year for the Dragons. Injuries and unavailable players would haunt them throughout the season. A staggering 69 players would appear in their Premier Division side in 2018, with only three players appearing in every game. Nick Ryan’s 53 goals would be the highest in the Premier Division, but such was the player turnover that no other Dragon scored 20 goals or more for the season. Alex Wynn was a strong performer for the Dragons, appearing in the six best players 15 times out of 16 games he played in 2018. Ben Jones also made solid contributions, listed among the Dragons’ best on 12 occasions. But with a constantly changing line up, the Dragons struggled to build momentum. Four losses to open the season would see them on the back foot. A run of four straight wins before the July week off gave them a sniff of the finals, but they had left their run too late. They claimed some handy scalps along the way, including wins over Manly and Sydney University at home, and a big win on the road against Pennant Hills at Ern Holmes Oval. The Dragons have a strong future. They won the Under-19s Premiership last year and introduced plenty of young guns to senior footy this year. The young Dragons will again appear in the finals footy this year. Camden made their debut in Premier Division in 2018. It’s been a meteoric rise to the top for the Cats, who were a Division Two side just two years ago. But when the opportunity to go up to Premier Division arose, the Cats made the most of their opportunity. It was the perfect opening for them, as they blew away Wests in the opening round. They would go on to win five games in their first season at this level, including claiming the scalp of second-placed UNSW Eastern Suburbs at Henson Park. However, losing three home games by a kick within a few weeks of each other would cost them the chance to build some momentum which could have seen them challenge for a finals spot. Late in the season, as the injury toll mounted, they dropped their last five games. But there’s a lot to like about what Camden achieved in their first season in Premier Division, and plenty for them to build on in seasons ahead. There’s a good club spirit there, and Fairfax Reserve has a great atmosphere on game day. The Cats spread the goalkicking honours around, with Ben Yakimov being the leading goalkicker with 22 major scores for the year. Nathan Kenny and Jed Ellis-Cluff were prominent contributors around the ground for the Cats, appearing in their best player list nine times. We’ll see the blue and white hoops in the other division finals, with the Cats being Minor Premiers in Division Three and Women’s Division Two, while they also made the finals in Division Two. 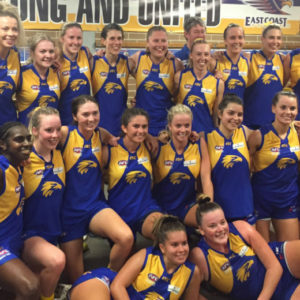 No finals appearance for the Cats in their first season in Premier Division, but the building blocks are in place for an exciting future in the South-West. UTS would start 2018 promisingly, with wins over UNSW Eastern Suburbs and Wests seeing them with a share of the competition lead, thought that was as far as the highlights would go – they would win just two more games for the season. It wasn’t an easy season for the Bats. The opening round win against UNSW Eastern would be the highlight of the season. At times they took the fight up to their opponents, but too often they were unable to keep pace with their opposition. A constantly-changing line-up didn’t help their cause. Only two players – Josh Moyle and Rawson Kirkhope – played every game. As injuries and an unavailable players list kicked in, it was a challenge to build momentum. Justin Crameri and Scott Jansen led the way in the goalkicking with 15 goals apiece, but the Bats were unable to find a spearhead who would kick regular bags of goals. Rawson Kirkhope appeared in their best player list 11 times, while Scott Jansen and Adam Tarrant appeared eight times each. The Bats will appear in the Division Two finals, but it will be a relatively quiet September by their standards. No doubt they are already working their recruitment network, looking to bolster the line-up for 2019. The 2018 season would be a challenging year for Wests. For the second year in a row they would win just two games and be left holding the wooden spoon. An exodus of players during the off-season saw them bring in plenty of new faces, however the team was never able to gel into a unit that would consistently challenge their opponents over four quarters. They would win two games in 2018, including a stirring result when they claimed the scalp of Sydney University. But the luck of the draw was against the Magpies, as both times after their win they found themselves up against the dominant North Shore, preventing them from building any momentum. The Magpies called on 49 players to wear the jumper in Premier Division in 2018, and a constantly changing line-up would challenge them. Despite this, there were players who made the most of their opportunity. Callan Dell was the leading light on the forward line, capitalising on limited opportunities to finish with 21 goals for the season. Around the ground, Callum McEvoy-Gray was named in the Magpies’ best player list 11 times, while Josh Robinson and Tyler Blake featured nine times. Finishing on the bottom in Seniors, Reserves and Division Two, it was a tough year for the Magpies. 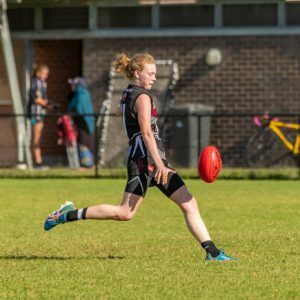 Their joint-venture team in Under-19s Division Two is playing in the finals and the Magpies will be looking to increase the numbers and opportunities for local juniors in seasons to come. Five teams remain, and the finals are here. Over the next four weeks, the excitement will build to something special.